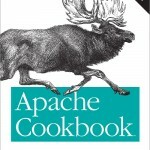 I just finished reading Apache Cookbook, Ken Coar and Rich Bowen. I’d give it a solid five stars. 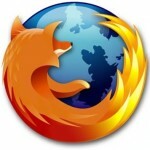 I found it to be very readable, and not overly verbose or cryptic, a problem that can plague computer books. The book is quite the opposite, if I had one criticism, it would be that it could be a little thicker. It’s only 264 pages, and the font is plenty big, which makes for a fast read. Having set up and run an apache server for a few months, I skipped over many of the early parts of the book. However, I did find lots of useful tips, tricks and tidbits, that I know will come in handy later. For example, I didn’t know you could make a custom log for any site, with any file, that contains almost any information. You simply specify a CustomLog directive for whatever host you want to monitor. I now set up several specific logs show me only the information I find useful. Other useful directives are RewriteEngine and RewriteRule. You can do almost anything you want with the URLs from your site, including redirection, query string modification, folder modification, clean URLS and more. This all comes from the module mod_rewrite. There’s useful info on authentication and authorization, dynamic content, custom error pages, email notification, and much more. Here’s a doozy: you can now use apache’s mod_proxy_balancer to balance a load between a cluster of computers! Who knew it was so easy! You can even specify with the ProxyPass directive whether to distribute by bandwith, or by requests! A few other tidbits that I’m sure will be useful are the Apache bench utility for benchmarking site performance, and server-status which can monitor your server health and display it somewhere in your website. Easy huh? You’ll like it. I guarantee it.